When Is Shoulder Arthroscopy A Better Option Than Open Surgery? Subacromial decompression is a surgery that treats shoulder impingement syndrome and can be done through an open incision or arthroscopically. Surgeries such as open decompression or arthroscopy have almost the same results in a reduction in pain ranging in almost 77-90 percent of the patients. The methods to be used are dictated largely by the surgeon’s preferences and the condition of the patient. A minimal two to three small cuts are made surrounding the shoulder during the surgery. An arthroscope, which is a small viewing device is inserted in the cut. The surgeon can look inside through the camera and check the biceps and joints along with the rotator cuff tendons to any issues that can otherwise be overlooked or go unnoticed in an MRI or an open procedure. 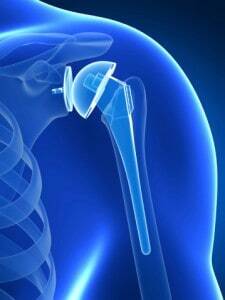 Arthroscopic surgery is generally recommended for people who are young and have a mild impingement in the shoulder. It is done to promote regaining of daily activities. Moderate shoulder impingement refers to pain which hinders daily life activities. It often occurs in individuals around the age of 25 to 40 years old. Have a large tear in the rotator cuff which is medically proven as unrepairable. Patients who have such significant injuries can only be treated with open surgeries. Individuals with a flat acromion or tissue inflammation like tendonitis in the rotator cuff, which is not due to shoulder impingement but rather the cause. This procedure involves a large incision of about 4-6 cm. It is necessary for patients who have a large rotator cuff tear. In many cases, surgeons recommend open surgeries compared to other options as it allows them access to a large area of injury. On the other hand, however, a large incision increases the chance of infection. Patients who undergo open surgery may have to spend 1-2 nights in the hospital for recovery. Open surgeries are for external rotation while arthroscopic procedures are linked with less motion. Open surgery can be performed faster, while arthroscopic procedures require a detail-oriented set of skills. Many surgeons are comfortable with open surgeries for the latter can be a difficult procedure. Recovery time varies for both, and in general, takes 3-6 months to fully recover. People may be able to use the affected arm by two weeks of the surgery. It is reported that people who go through arthroscopic surgery recover faster, and experience less pain during the recovery period. The recovery process involves stretching and exercise that prevents swelling and stiffness. In both cases, a therapist would likely be involved to assist the patient with exercises that promote healing and recovery. This entry was posted in Shoulder Treatment and tagged Shoulder Arthroscopy on January 29, 2018 by aenriquez.